These frisbees are not suitable for dogs! 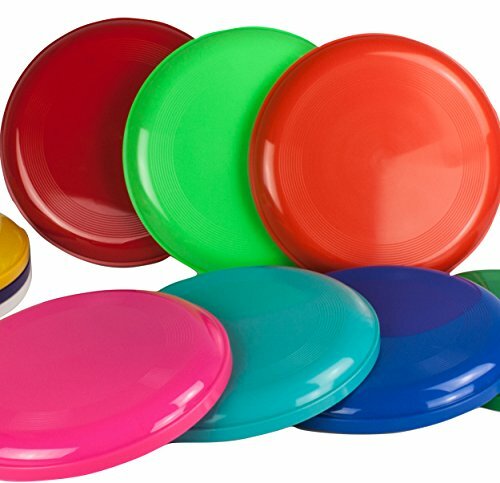 10 frisbees in various colours at a great price as direct from manufacturer! Weight: 2.2 oz, Diameter: 8.5"
Tried and tested and sold hundreds of thousands of times over! The colours are mixed randomly. Every frisbee has a different color, Weight: 2.2 oz, Diameter: 8.5"
Can be stacked, Can be printed on, Print area ~5"